Catalogue > Cities: maps and sights of cities and villages > 7. South Holland > Langerak. 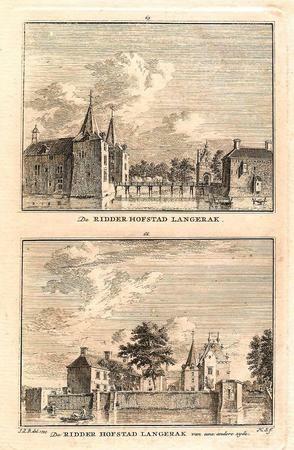 HOFSTAD LANGERAK. / De RIDDER HOFSTAD LANGERAK van een andere zyde.